The Only Cleanse - Description | W. W. Norton & Company Ltd. Your body already knows how to detox; you just need to turn on the right cues to make it happen. Here's how, with a 14-day plan that will change your life forever. If you think it is time to detox and cleanse, don’t go with a fad diet, turn to Samantha Heller for a programme that really works. 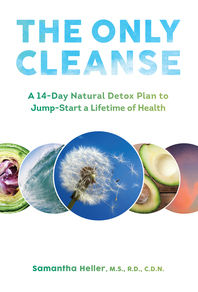 Cleanses, detoxes and other purifying practices have been around for hundreds of years. Not all of them are tried-and-true, and most are not scientifically sound. But here it is: the only cleanse you’ll ever need. 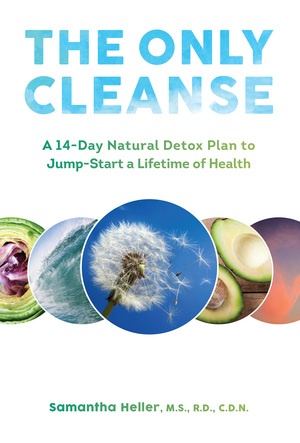 The Only Cleanse is designed to integrate, elevate and re-establish the body’s biochemical balance. Heller uses a five-pronged approach that covers diet, stress, emotions, exercise and sleep. She also reviews existing detox plans and explains the pros and cons, emphasising why hers is the only one you need.